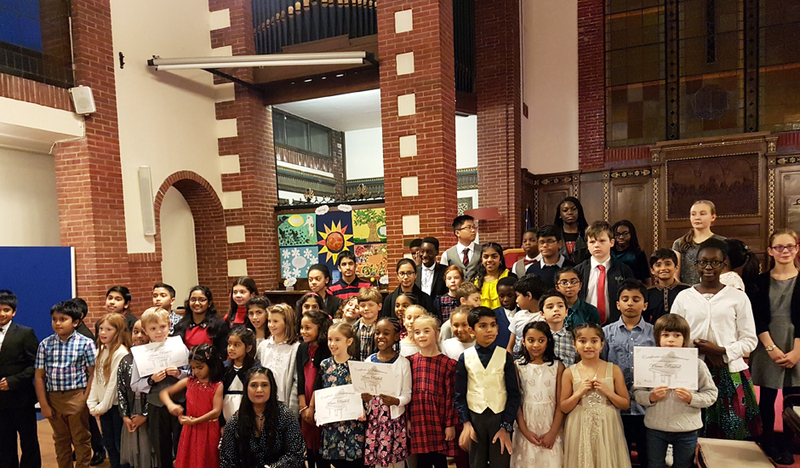 Carshalton piano teacher Niromi Fernando organised a popular sponsored piano recital with her students and together they raised £2,070 to support seriously ill children and their families. Fifty-five of Niromi’s students each played a song of their choice in front of an audience of parents and friends at Carshalton Methodist Church on 24 November. The students all collected their own sponsorship before the event and their individual amounts totalled £2,070. A number of local businesses also sponsored the recital, including Sainsbury’s, Dotty’s Tea House, STR Design and Print and Blossoms in Carshalton. “I am so proud of all the students for taking part. They all played beautifully and it was a wonderful team effort. Our event was a tremendous success and raising funds for a worthy cause really inspired our children. They practised their pieces really well - and delivered a fantastic performance. I would like to take this opportunity to thank our sponsors - Sainsbury’s, Dotty’s Tea House, STR Design and Print and Blossoms in Carshalton - and our volunteers on the day. Their help and support made a huge difference.